Bayport Oak Low Gloss Natural 3/4 in. Thick x 2-1/4 in. Wide x Varying Length Solid Hardwood Flooring (20 sq. ft. / case) is made with real domestic red oak hardwood to help accent your decor. Designed for residential use, the planks require nail-down installation and have a square edge to suit your needs. This flooring has a Janka wood hardness rating of 1290 for durability. This hardwood flooring features solid wood construction and a pre-finished oak natural finish to match many home interiors. 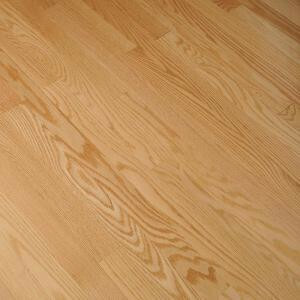 Buy online Bruce Bayport Oak Low Gloss Natural 3/4 in. Thick x 2-1/4 in. Wide x Varying Length Solid Hardwood Flooring (20 sq. ft. /case) CB1320LG, leave review and share Your friends.